In hindsight, all of us are wise. The key is to learn from experiences and not either cling on to grief or guilt. Woods nails it. It is very important to pause, reflect and internalize what you can learn from a past – any – experience. With reflection, and introspection, grief and guilt may arise. But you must develop the ability to stay detached from these debilitating emotions. You must look at your own Life – and the past – dispassionately. Ask yourself if there is any point in brooding or feeling angry and guilty? There really isn’t! Once you realize the futility of harboring these emotions, you let them go. This does not mean you don’t either feel them or don’t learn from them. You will feel them. And you can learn from them. But just don’t get bogged down by them! The past always teaches you – something about you and about Life! The past can also hold you hostage. 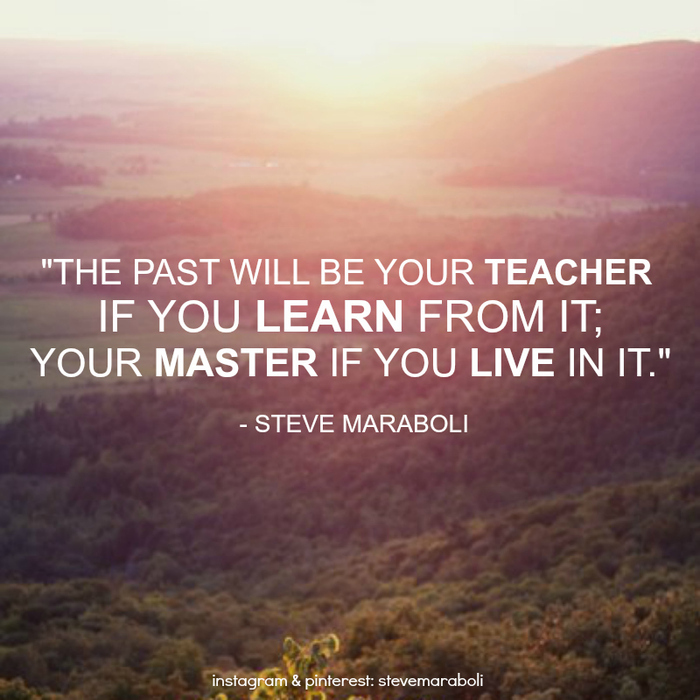 It is up to you whether you want your past be your teacher or your captor!